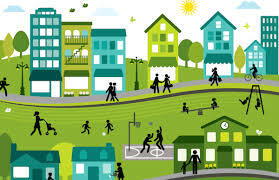 The design of the urban environment significantly impacts the liveability of our communities. Incorporating easy access to public transport, housing affordability, and meeting the goal of one job per dwelling are other major critical elements often forgotten or not properly delivered in creating a truly sustainable and liveable community. Low Impact Development (LID) Consulting undertake liveable communities consulting for developers and councils to help deliver these types of developments. Creating streetscapes and spaces where we live and interact, play, have chance encounters and avoid isolation is a good start in creating local, active, supportive, communities. Add spaces and opportunities where residents can visit local health and educational facilities, and meet weekly needs without the need to travel for more than short distances, frees up time to devote to families and potentially allows emotionally and physically healthier lifestyles. If work is also within this community then family stresses due to long days from extended commuting times, or the need for a financially demanding second car can be removed. Alternatively if work is accessible by public transport and access to public transport is easy and enjoyable via off road bicycle lanes or paths for electric scooters, again the need for the financially demanding second car can be removed for many families. 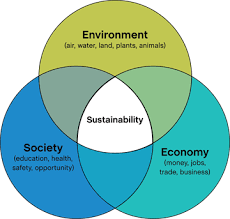 Concentrating on the urban design, economics, all transport options and health and social support systems can all contribute to the self sustaining village, liveable community that most people would like to live in. Ensuring we can provide affordable housing to all of our community must be another goal of a caring wealthy society. Or call us to discuss details.